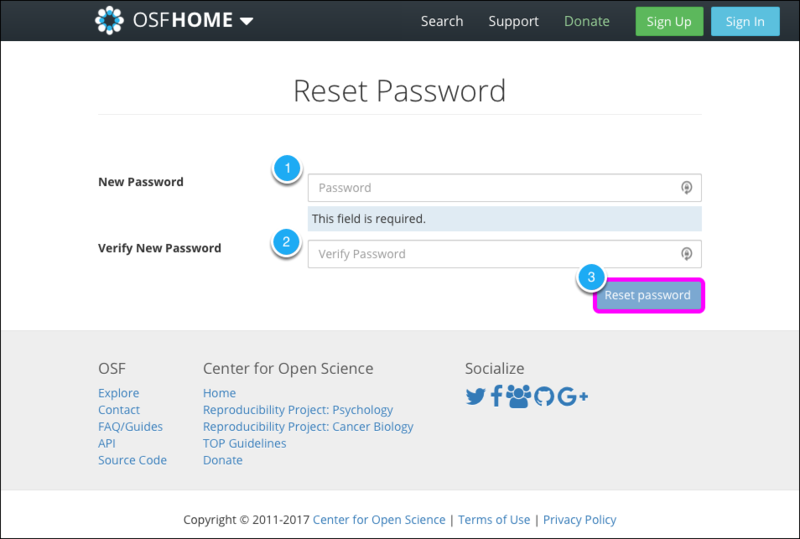 If you forget your OSF password, don't worry - you can create a new one! 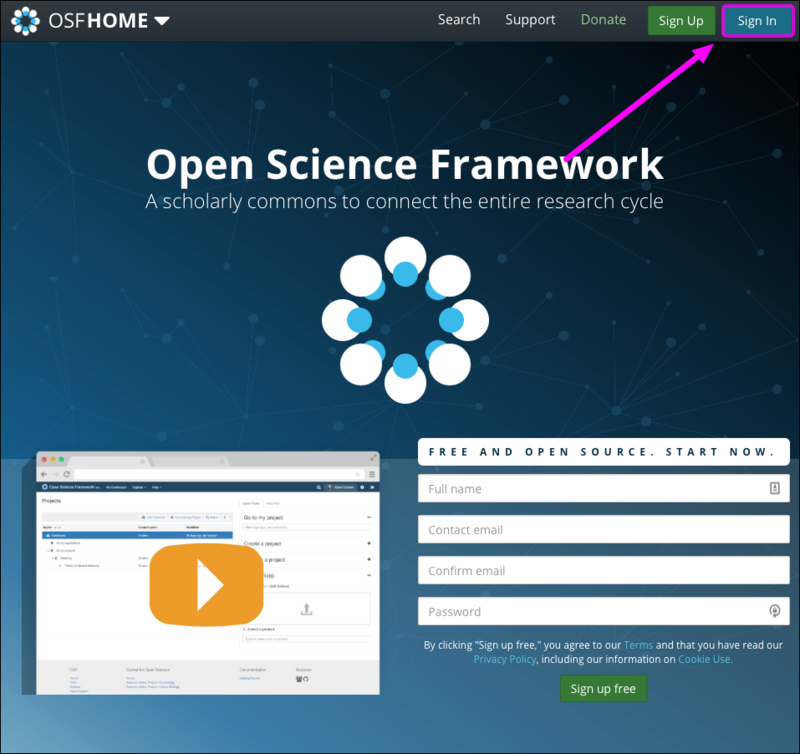 Click the Sign In button on the OSF homepage. 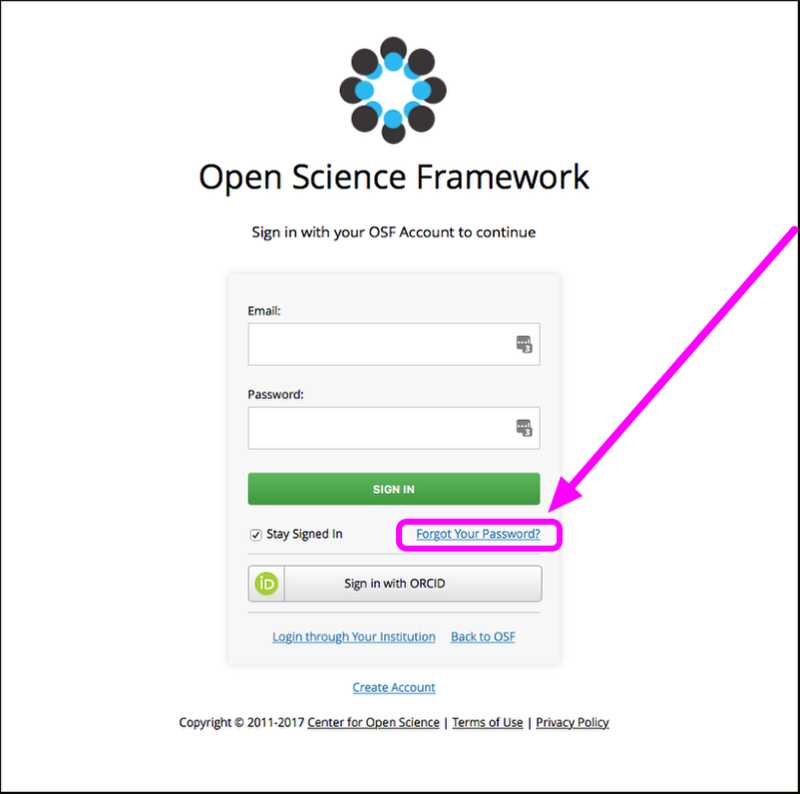 The OSF "Sign In" page will appear. Click the Forgot Your Password? link below the SIGN IN button. The "Password reset request" page will appear. Enter the email address you used to create OSF account into the text box. Check to make sure that you spell your email address correctly. If there are typos or missing characters in your email address or if you enter an email address that is not associated with your OSF account, you will not receive the email to reset your password. When you're ready to submit your password reset request, click the Reset password button. A green confirmation message will appear at the top of the page. You will receive an email from the OSF that contains a link to reset your password. Click this link, and you will be taken to the "Reset Password" page. Enter and verify your new password in the respective fields. Then, click the Reset password button. You will be signed in to the OSF and taken directly to your "Account Settings" page where you can manage the email addresses and passwords associated with your OSF account.